There are over 1 billion Chinese speakers in the world. By this time next year, all of them will be able to read Frankie Manning's fantastic autobiography Ambassador of Lindy Hop in their native language. The Frankie Manning Foundation recently announced that a team of Chinese lindy hoppers are working on a Chinese translation of this important account of our dance history. Led by Zeng Weiming of Beijing, the team includes Nancy Qin (coordinator), Johnny Tu (publisher), and Effie Yang (translation team leader). A group of twelve translators will be working on different parts of the book to get the work done as quickly as possible. Left to right: Sing Lim, Weiming Zeng, Chen Qing, Wanyuan Li (in front, on floor), Lynn Cheng, Suzy Xiong, Beibei Huang, Kang Chong (standing), Lizette Rönnqvist, Mimmi Gunnarsson Bringlöv. Photo Credit: Sing Lim. There are lots of steps involved in getting a Chinese-language version of the book published. The team is overseeing all aspects, including arranging a contract with the publisher Temple University Press (recently signed), translating the text accurately, acquiring rights for photographs, and overseeing production and distribution of the final product. Sounds like a huge set of tasks! 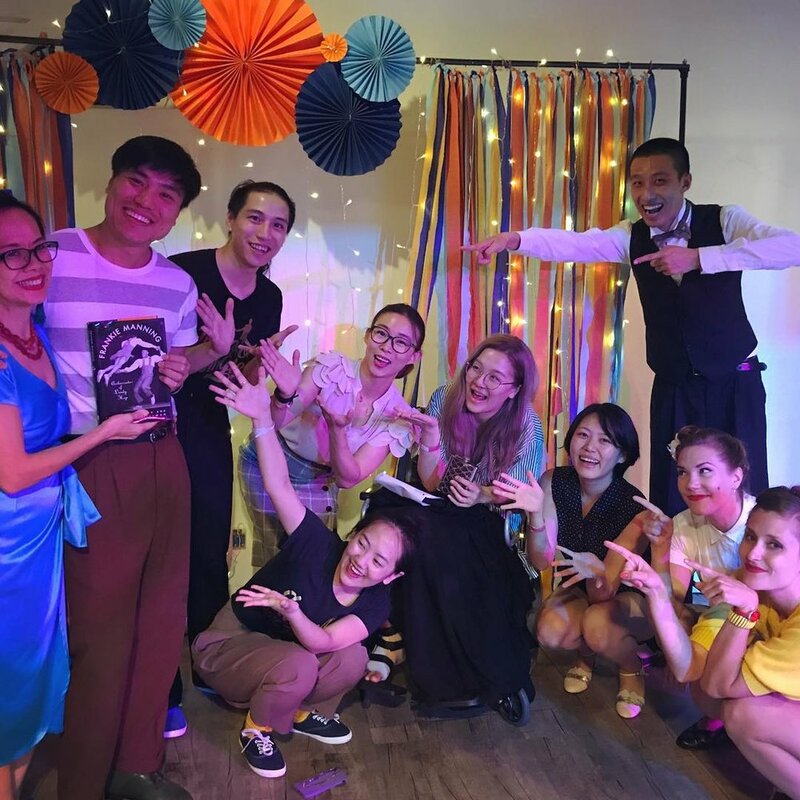 Despite all that, Zeng told me when I met him in person a couple of weeks ago that his goal is for the Chinese language edition of Ambassador of Lindy Hop to be available on Frankie's 105th birthday next year, May 26, 2019. Seeing the passion in Zeng's eyes, I'm confident they will achieve this. This will actually the fifth language that Frankie's book will be published in. The Chinese language version of Ambassador of Lindy Hop will join the French, Italian and Japanese editions of the book that are already available.